Interior of car, cleaning of glass, cleaning of various parts, etc. There is no fuzzing and the wiping up is clean. Contribute to time reduction. 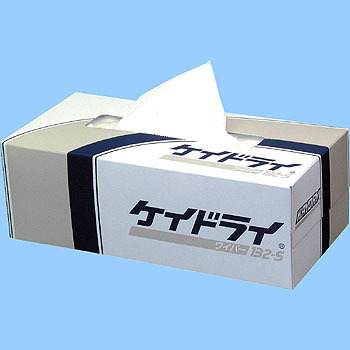 The same usage as the tissue box is also satisfactory for ○ number. I will continue to use it. This review is about item#35077987. To the finishing wiping of painting work. It is easy to get rid of it as it is a normal tissue, but it is easy for garbage to adhere, but this product is thick and has reasonable softness so it was good to use it for a long time as disposable. It is used for removing dust and parts before painting work. I am saved with little fiber waste. If you accidentally use a tissue nearby it will be terrible. Wiping the lens, wiping the solution, etc. A 3-ply soft soft wiper that can also wipe lenses such as cameras and eyeglasses. Liquids such as cleaners and degreasing agents are well sucked. Because some paper dust comes out, it is hard to use in a clean place. I found cheap and good things! Recommended when you want to wipe lightly. It is less fluffy and strong against solvents It is safe to use. Hardness is just right feeling. I think that there are also different types of sizes. This review is about item#2339687. I used it before because it was very fluffy without buzzing so I purchased it this time. This review is about item#02339687. Since it is a product of a major manufacturer, quality is not a problem. There was not a good thing in the degreasing work on the painted surface, I tried purchasing it. Workability is good, scratches will not occur even if you degrease with wax off or alcohol. With an extremely fine compound, hand-polishing small-scale shades of gray color, even if you degreased small scratches disappear, so it will not cloud, it will not scratch! If you polish a small space with cloth wash, you can only go with Keidai! The concept of paper wear has gone. Since size is box tissue, it is small when it folds four, so please also make a maker's large format! The size of one piece is moderate, and it is used when wiping less dirt when it is a large waste. It's easy to blow without permission and it's my favorite. I am using it with Kim Towel. It is the lowest price at which you can buy one. Dirt removal of analog records. It is useful because it does not scratch the record because useless scum is not. Easy to use with a small pack. There are no particular improvements.